There are recent collaborations with other forestry professionals to deliver a Timber Strategy Report for Exmoor National Park. Prime Director of Eucalyptus Renewables Limited, a company set up to deliver a sustainable supply of various targeted Eucalyptus species for the forest industry. At Treworder Farm in Cornwall, the RFS 2014 Climate Change Silver Award was gained for a Eucalyptus planting scheme. There are also associated planned extensive new planting schemes at Lanhydrock Estate. Consulting operational and legal advice to Euroforest Ltd as well as assisting in fulfilling operational targets within varied long term harvesting contracts. 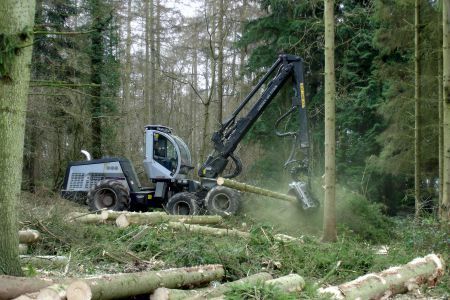 Dealing with Forestry Commission statutory obligations and other Forest and Ecological site conditions throughout the South West. Carrying out Regional Council planning obligations. The development of a commercial managerial consultant pilot role within The Woodland Trust to deliver operational objectives through various woods in the South West. We are always happy o help in any way we can.